The Bottle Yard Studios is a Bristol City Council initiative. 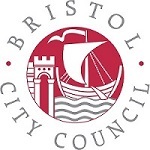 We work closely with our long-standing partners Bristol Film Office, a division of Bristol City Council offering a free service to all productions planning to film in the city. Dedicated to making film, television or commercial photography shoots run as smoothly as possible when on location in Bristol, it is the one-stop-shop for all filming enquirers. It can assist at all stages of production, from initial location and crewing advice to recces and logistical support. In 2016-17, Bristol Film Office recorded a strong total of £18.3 million inward investment from productions working in Bristol and registered more than 1,000 location filming days in the city. In 2017 Bristol was proud to be named a City of Film by UNESCO, a permanent status awarded in recognition of the city’s reputation as a world-leading centre for film and filming. It is now one of 13 cities of film worldwide and an official member of the international UNESCO Creative Cities Network. 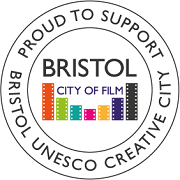 We are a member of the Bristol UNESCO City of Film Steering Group, led by Bristol Film Office which is coordinating a programme of activity in celebration of this internationally respected status. We’re proud to be an official partner of the British Film Commission (BFC), the UK Government’s lead agency responsible for maximising and supporting the production of international film and television in the UK. With experienced teams in the UK and the US, the BFC provides free, tailored support for international film and television productions at the very highest level, from earliest stages of development through to post-production. The BFC leads on attracting and supporting productions, offering guidance on UK tax reliefs, assisting with sourcing UK crew, talent and facilities and troubleshooting. The BFC is responsible for international promotion of the UK industry and liaison with Government to secure and maintain film-friendly policies. We’re proud to be an affiliate member of The Production Guild of Great Britain, the UK’s leading membership organisation for those working in film and TV drama production. They represent experienced production professionals across accounts, production, location management, assistant directing, VFX and post production. With over 950 members and more than 100 company affiliates, they provide members with industry advice, employment opportunities, networking and seminars. Delivering expert knowledge on key production issues to members, government and as part of industry consultations, The Production Guild is the leading voice of the UK production industry. We’re working with innovative post-16 education providers boomsatsuma to deliver a Media Production Diploma for 16-19 year olds right here at The Bottle Yard. Taught in a classroom on site, the course gives 20 students the unique opportunity to learn about filmmaking, TV production, photography, animation graphic design, production design, sound design and much more. whilst getting hands on experience at a working studio. The OCR Cambridge Technicals Extended Diploma in Media is a nationally recognised qualification equivalent to 3 A Levels and worth up to 168 UCAS tariff points. Read more here. 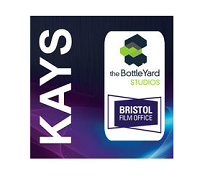 The KAYS Bristol app, delivered in association with The Bottle Yard Studios, is designed to help boost the employment of local crew and facilities in the South West. Whether you’re looking for cameras, props, costumes, studios, catering, lighting, freelance crew or just about anything else, the Kays Bristol app is the ultimate guide. Covering a 50 mile radius of Bristol, the app features its own unique search tools, including the ability to search by recent credits to see who’s working on the latest productions. It also features a ‘Jobs Board’, where users can see the latest vacancies available in the film and TV industry. Download it from your app store by searching for ‘KAYS Bristol’ and sign in with your KAYS login details. If you’re not already registered with KAYS, visit www.Kays.co.uk and ‘Register’ to create your own username and password.